This is the recent picture of me and my wife. 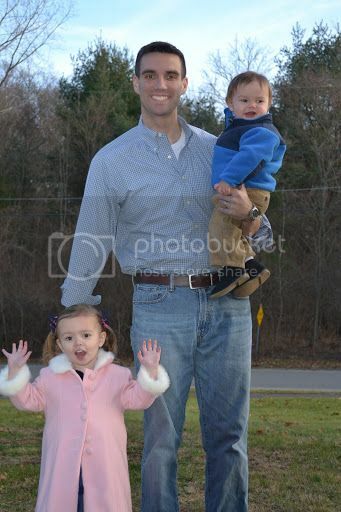 My kids and I on Christmas Eve. And yes, I'm getting my daughter to say "touchdown Dolphins". That's my brother and I in the keys about a year ago. 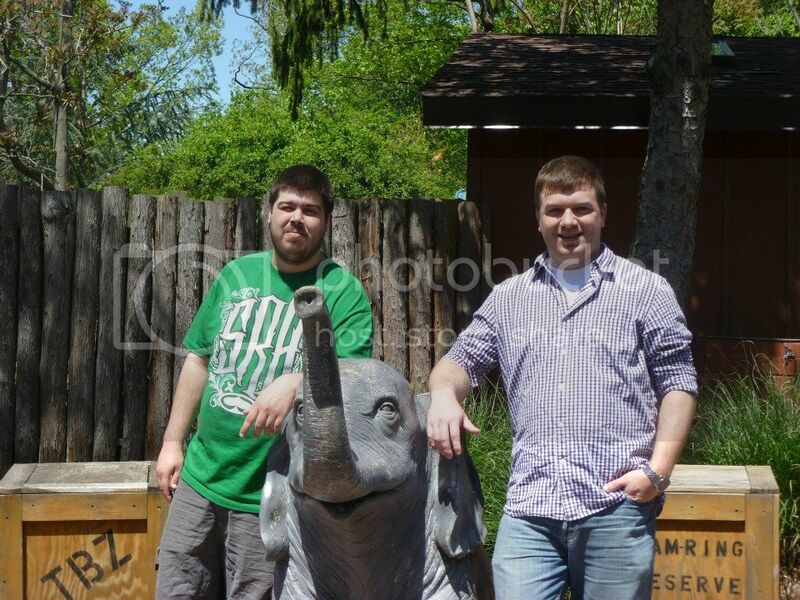 I look the same, I'm on the right holding up the cow (female, round head) dolphin. 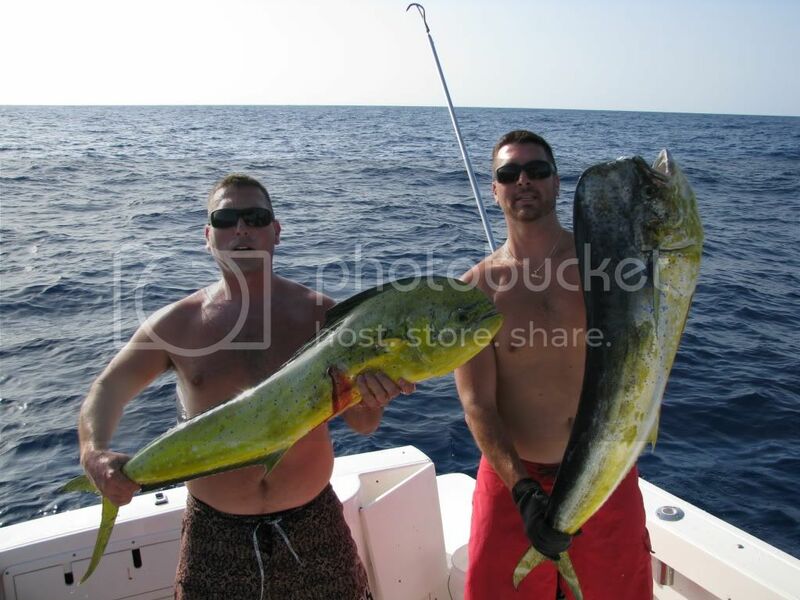 My brother Joe is holding the bull (male, blunt head) dolphin. It was a double hookup and my dad gaffed them for us since were kind of busy...lol. 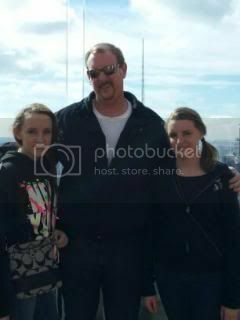 Me with my twin daughters Taylor and Sydney on a trip to Manhattan last year. How did you like the big city? We loved it. 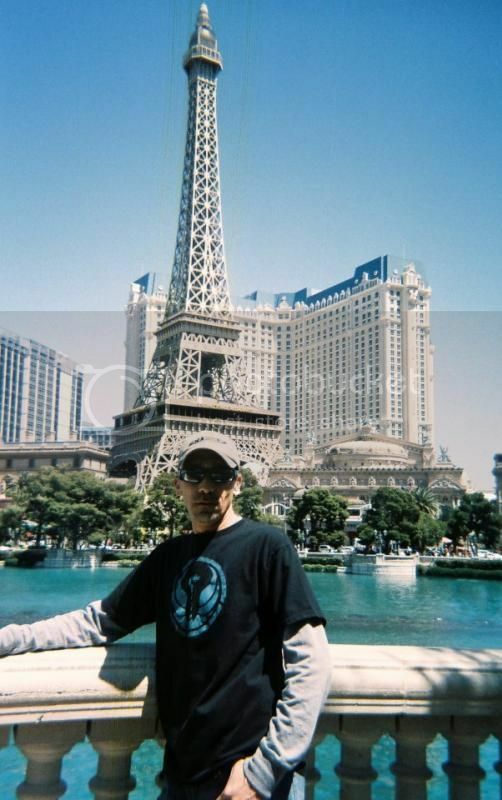 Its the second trip there for my wife and I. So much to see. We took our three kids the last time. We stayed in the Time Square area. I wouldn't want to live there but it is definitely a place everyone should visit. I even have a picture of me sitting next to Ozzy and Sharron Osbourne at Madame Tussauds wax museum. LOL Awesome! I live about an hour or so away so I guess I take it for granted that not everyone can just hop in their car and go. Lol is Rich and I the only people on this forum actually from South Florida? I'm from SW Fl....Does that count? Lol for sure bro, I'm just surprised to see the vast majority of this forum is living out of the state of Florida, no issue at all, just thought it was interesting. 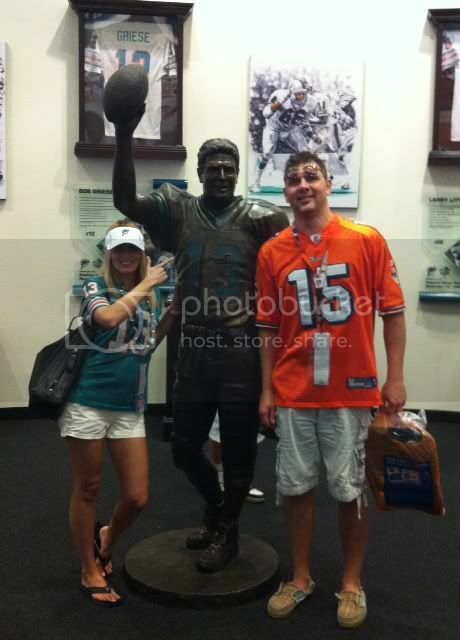 It is rather strange but everywhere you go you find Dolphins fans. Its like a cult and we all have stories (mostly Marino related) of how we became fans. Being a Massachusetts guy I'm die hard Sox, Celtics and Bruins but I'll never cheer for the Pats. I know others who are just like that as well. Very weird I guess. I have family up in New Hampshire on Lake Winnipesaukee, obvious Boston sports territory. I have never seen such a lack of sports diversity anywhere like I have in Boston...you rarely see anyone wearing anything other than Patriots, Red Sox, Celtics, or Bruins gear. However, I go up there for weeks every summer and wear dolphins gear all the time. Out of the past 5 or so years, I only remember being commented on once about the Fins, and it was a store manager at the mall lol. For such passionate fans, they really don't seem to give about Dolphins fans walking around, especially in New Hampshire. 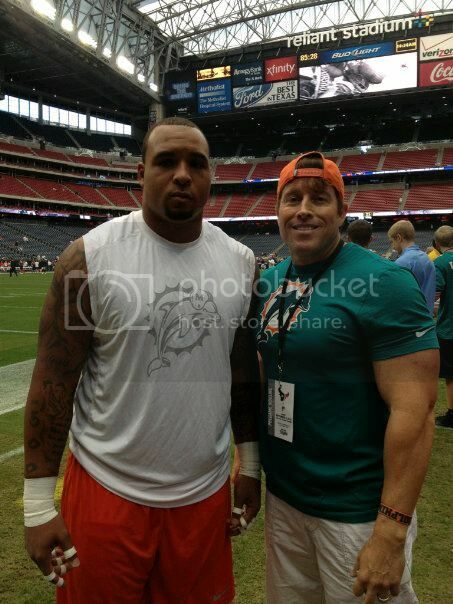 Although, I have seen a few Dolphin fans there as well, even more so than Jets fans which is unusual due to location. Hey, post some pictures, too. Don't you mean the other 'right'? Only once? I get a "Dolphins?!" thrown at me on a weekly basis it seems. Then again, I am unbelievably good looking, so it could just be people wanting to talk to me. If you live in Massachusetts, than I see why. The fan base in its home state is probably much more fierce, I'm just talking about the New Hampshire area around Lake Winniepesaukee. Do you live in Middleboro or Middleborough? If the first, where the heck is Middleboro? It's actually the same town, just different spelling. On the way to the Cape, west of Plymouth. Is that your spy vs spy picture? I think Carlos the Jackal had a more clear image in his initial "wanted" poster. [It's actually the same town, just different spelling. On the way to the Cape, west of Plymouth. I believe Foxboro and Marlboro do the same thing aka it can be spelled either way. I was born and raised in MA, but on the western side of the state so anyone east of 495 considers us just an extension of NY. Caught this bad boy in Plymouth harbor last year. What happened to all that hair you used to have? Dang, that's impressive. I don't want to sound like a newbie, but what kind of fish is that? Looks like a striped bass. We don't get those often in South Florida. 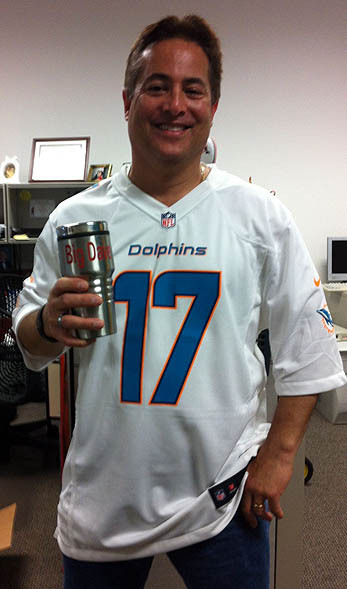 been a dolphin fan since 1970,all the highs and the lows.Hope we are on the upswing again. You are correct that is a striped bass. Good fishing up here in the New England waters. I hauled in 2 of them on that trip. Now you have to show them to us, Mak. I love the fishing pics. Very nice catch. Salmon, correct? Dang!! So who is the fullback! !